These boats exhibit exceptional handling regardless of the model. Bayliners are also stylish and spacious. Whether the client selects a Bowrider, Deck Boat or a Cruiser model, these boats will bring years of enjoyment. Bayliners are known for the Beam Forward Design and Smooth Ride System (SRS). 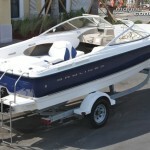 Purchasing a Bayliner used will enable clients to enjoy this exceptional quality for a low cost. 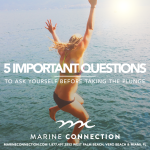 With the cost of fuel, boat owners want to purchase a boat that will maximize their boating pleasure while maintaining their budget. 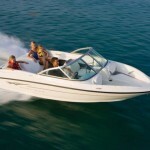 Bayliner models are available with a wide selection of fuel efficient engines . The hull design allows the fast acceleration, safer handling and a smoother ride. Most Bayliner boats also have Pre-Cured Finish Guard on the exterior of the boat. This exclusive ArmorFlex 954 gelcoat protective coating allows this boat to maintain its beauty over the years as long as the boat is maintained. The Hydropel vinlyester resin reduces the chances of the ArmorFlex 954 protective coating blistering or cracking due to the elements. This coating is also resistant to osmosis. Before purchasing a used Bayliner, ensure that the boat has been well maintained. If the boat has been maintained, the protective coating will aid in retaining the original beauty of the boat. 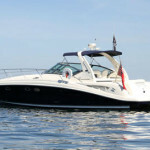 Bayliners have won numerous awards for being the best boat in its class. Just because you reside in Europe does not mean that you have to purchase your boat there. The prices for Bayliners are typically more expensive in European countries. Marine Connection has exported thousands of Bayliners over the past 20 years to Europe while saving European customers thousands even after shipping and import duties. The savings make pursuing a boat in the United States extremely worthwhile. Marine Connection has International customers worldwide and has been exporting boats since 1987. The company knows the process and can navigate the customer through the shipping and export process. 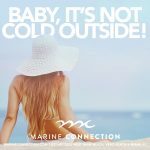 Consider Marine Connection to meet your used Bayliner boating needs in Europe today!